While Americans are in favor of renewable energy and electric cars, when it comes to paying more for gasoline support dwindles. Are the voters hypocritical? Not necessarily. A new study suggests that voters would be in favor of a gas tax, if they’d know the cash would flow directly into measures that address energy efficiency, fix roads and bridges or gets refunded to taxpayers equally. In other words, if people know what they’re paying for, they’ll be more willing to pitch in. Who would’ve thought, right? People generally hate politicians, but you know what they hate even more? Politicians who propose new taxes. Two Michigan State University sociologists have a word or two of advice for policy makers who would genuinely want to improve the life of their citizens at a cost that could only be covered by more taxes, but are too afraid to propose such an initiative. Surveys suggest people are largely against a gas tax hike, but only in those surveys where it wasn’t specified how the extra revenue would be spent. Aaron M. McCright and Stan Kaplowitz of MSU looked at eight survey experiments comprising about 3,000 total participants and found when revenue use was unspecified or simply dispensed to the U.S. Treasury, people just wouldn’t agreed to more taxes. When told, however, how the money would be spent, their views changed. “Our results suggest that if a gasoline tax increase aims to decrease fuel consumption in a revenue-neutral manner or directs the extra revenue toward energy-efficient transportation or road and bridge repairs, then such an increase could be acceptable to the American public,” said Kaplowitz. On average, people would accept (i.e., support or be neutral towards) a gas tax increase of 51 cents per gallon if the proposal was revenue-neutral, meaning any extra revenue would be refunded to taxpayers equally. On average, people would accept a slightly larger increase, 56 cents per gallon, if the proposal directed extra revenue toward energy-efficient transportation. If extra revenue were directed toward road and bridge repairs, and people were also told why current gas tax revenue is inadequate for that purpose, they would accept an average gas tax increase of 53 cents. 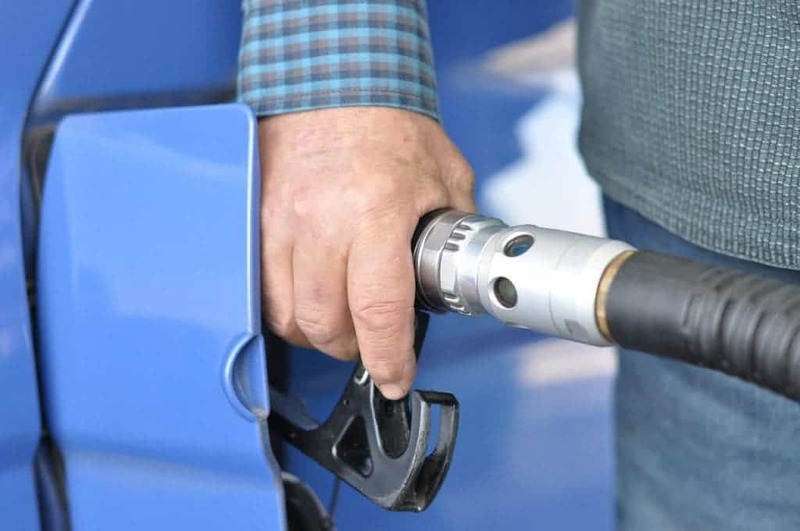 The current federal tax on gas is 18.4 cents per gallon (24.4 cents per gallon for diesel), and on average U.S. drivers pay about $8 per month in federal gas taxes. Congress hasn’t raised the federal gas tax in more than twenty years: the last boost came in 1993, which means it doesn’t reflect reality anymore due to long-term inflation. Various proposals have been made to increase gas tax, but they’ve all died out. The most recent one was made by Sen. Chris Murphy (D-CT) who suggested it’s time the gas tax increases; first 6 cents per gallon in 2015 and another 6 cents per gallon in 2016.